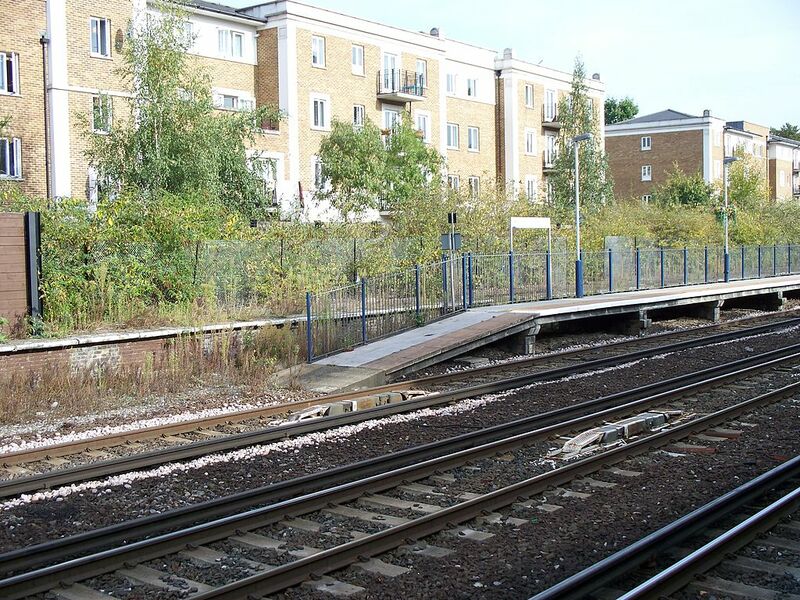 A station was opened by the West London Railway as its southern terminus on 27 May 1844 as "Kensington", just south of Hammersmith Road; it closed at the end of November 1844 due to the losses made. A scant and erratic goods service continued, the line re-opened to passengers with a new station called "Addison Road" on 2 June 1862, to the north of Hammersmith Road. Great Western Railway trains started serving the station in 1863, with London & North Western Railway trains arriving in 1872. A link to the Hammersmith & City Railway enabled the "Middle Circle" service to operate via Paddington to the north and South Kensington to the south. From 1869, the London & South Western Railway operated trains from Richmond to London Waterloo via Addison Road, until their branch via Shepherd's Bush closed in 1916. By 1907 the Middle Circle had been replaced by four Hammersmith & City line trains an hour. The station appears on the first 'London Underground' map in 1908 with Metropolitan and District Railway services. In 1940, Addison Road and the link to the Metropolitan line at Latimer Road closed along with the other West London Line stations, In 1946 it was renamed "Kensington (Olympia)" and became the northern terminus of a peak-hour shuttle service to Clapham Junction, which was mainly for workers at the Post Office Savings Bank (later National Savings Bank) in nearby Blythe Road. There was also a District line shuttle to Earl's Court. 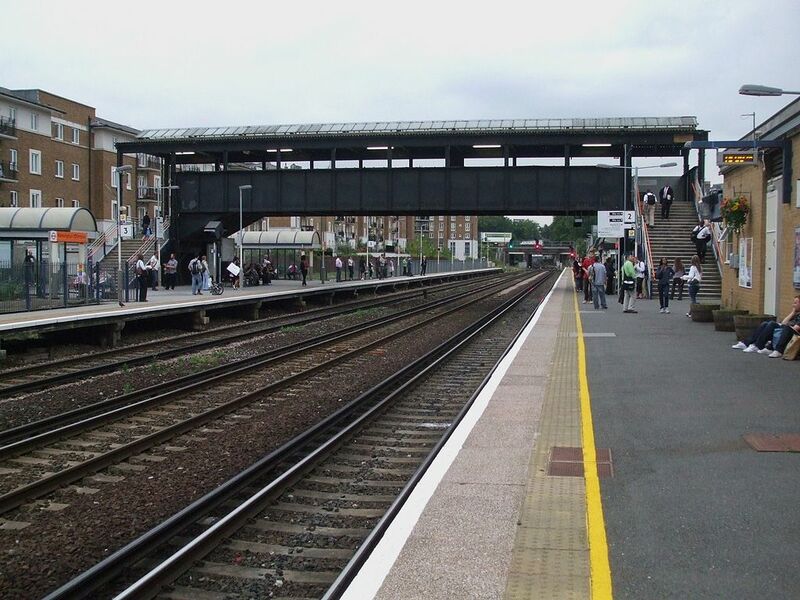 The current District line bay platform opened in 1958, but the 1872 connection between the District and the main line south of the station was not finally lifted until 1992. 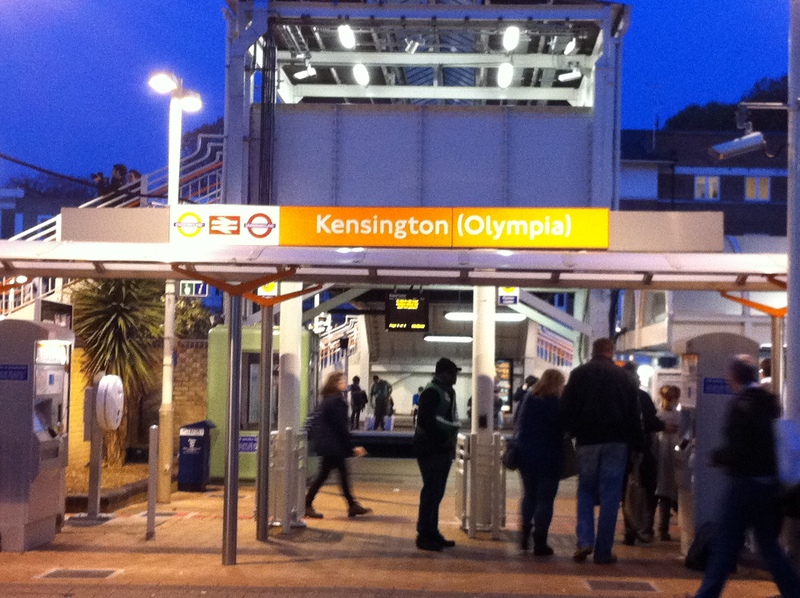 The station appears in some National Rail maps and timetables as Kensington Olympia but on London Underground maps and station signage as Kensington (Olympia) (also used on the latest National Rail "London Connections" map). The variant with brackets is in the London Railway Atlas, published by Ian Allan in 2009. On the automated announcements and the dot matrix indicators on District line trains, the station is shown as Olympia. Although painted over, 'Addison Road Station' appears sculpted into a wall on the eastern pedestrian exit from the station. The station has wi-fi, payphones, boarding ramps, cash machines, toilets, a bridge and a car park. Connections: National Rail. London Buses routes 9, 10, 27, 28, 49, 391, C1 and night routes N9, N28 and National Express coach routes 701/702 serve and pass the station.